The thematics of migration in European cinemas, with particular attention to how spatial, social, and psychical displacement assume narrative form. Race Under Reconstruction in German Cinema: Robert Stemmle's Toxi. University of Toronto Press, 2011. 284 pp. The DVD, Robert Stemmle's Toxi (1952) is now available for purchase from the DEFA Film Library at the University of Masschusetts in Amherst. 'Extras' include an audio-commentary read by Angelica Fenner and Tobias Nagl. Fascism and Neo-Fascism: Critical Writings on the Radical Right in Europe. Co-edited with Eric Weitz. NY: Palgrave, 2004. 284 pp. Special Issue: Contemporary (Re)Mediations of Race and Ethnicity in German Visual Cultures. Co-edited with Uli Linke. Transit: A Journal of Travel, Migration, and Multiculturalism in the German-speaking World (UC Berkeley), 9.2 (December 2014). “Introduction: Revisiting Feminism and German Cinema.”Co-authored with Hester Baer. Special Issue: Revisiting Feminism and German Cinema: Women’s Film Authorship in Neoliberal Times. Camera Obscura 99 (2018): 1-19. "The Redistribution of the Sensible in Thomas Arslan’s From Afar.” In European Visions: Small Cinemas in Transition, eds. Janelle Blankenship and Tobias Nagl, 367-388. Bielefeld: Transcript Verlag, 2015. “Introduction: Cultivating Peripheral Vision.” Co-authored with Uli Like. Special Issue: “Contemporary (Re)Mediations of Race and Ethnicity in German Visual Cultures.” Angelica Fenner and Uli LInke, Guest Editors. Transit: A Journal of Travel, Migration, and Multiculturalism in the German-speaking World (UC Berkeley), 9.2 (December 2014). “Whither Autobiography? The Difficulties of Saying ‘I’ in the German Context.” Co-authored with Robin Curtis. In The Autobiographical Turn in German Documentary and Experimental Film, ed. Robin Curtis & Angelica Fenner, 1-34. Rochester, NY: Camden House, 2014. "Cinematic Discourses of Race and Reconstruction in Transnational Perspective." In From Black to Schwarz: Cultural Crossovers between African America and Germany, eds. Maria Diedrich & Jürgen Heinrichs, 227-244. Münter: LIT Verlag, 2010. "Jennifer Fox's Transnational Talking Cure Flying: Confessions of a Free Woman." Journal of Feminist Media Studies 9.4 (2009): 427-445. "Aural Topographies of Migration in Yamina Benguigui's Inch'Allah dimanche." Camera Obscura 66 (2007). "The Reterritorialization of Enjoyment in the Adenauer Era." In Framing the Fifties: Cinema in a Divided Germany, eds. John Davidson & Sabine Hake, 166-179. NY: Berghahn, 2007. "Repetition Trauma and the Tyrannies of Genre in Frieder Schlaich'sOtomo ." In Fascism and Neo-Fascism: Critical Writings on the Radical Right in Europe , eds. Angelica Fenner & Eric Weitz, 259-278. NY: Palgrave, 2004. "Traversing the Representational Politics of Migration in Xavier Koller's Journey of Hope ." In Moving Pictures, Traveling Identities: Exile, Migration, Border Crossing in Cinema, ed. Eva Rueschmann, 18-38. Oxford: University of Mississippi Press, 2003. "Turkish Cinema in the New Europe: Visualizing Ethnic Conflict in Sinan Çetin's Berlin in Berlin. " Camera Obscura 44 (2001): 105-149. "Theorizing the Internet: Scholarly Collaboration, Authorial Identity, and the Bounds of Listserver Culture." In After Postmodernism: Austrian Literature and Film in Transition, ed. Willy Riemer, 348-361. Riverside, CA: Ariadne Press, 2001. "Versuch eines interkulturellen Dialogs: Mehrstimmigkeit als Erzählstrategie in Helma Sander-Brahms' Shirin's Hochzeit ." Frauen in der Literaturwissenschaft Rundbrief 49 (Dezember 1996): 25-29. “Representation Matters: Tatjana Turankyj on Women’s Filmmaking and the Pro Quota Film Movement.” Camera Obscura 99 (2018): 129-145. Special Issue: Revisiting Feminism and German Cinema: Women’s Film Authorship in Neoliberal Times,” eds Hester Baer and Angelica Fenner. “If People Want to Oppress You, They Make You Say ‘I’: Hito Steyerl in Conversation.” In The Autobiographical Turn in Germanophone Documentary and Experimental Video, edited by Robin Curtis and Angelica Fenner, 37-51. Rochester, NY: Camden House, 2014. "The Hybrid Approach: An Interview with the Filmmaker Branwen Okpako." Women in German Yearbook 28 (2012): 113-137. "The Dialogical Documentary: Jennifer Fox on Finding a New Film Language." CineAction 77 (May 2009): 25-33. "Seyhan Derin: 'She has her own way of asserting herself.'" Women in German Yearbook 21 (2005): 43-61. Matthias Frey. Postwall German Cinema: History, Film History, and Cinephilia (NY: Berghahn, 2013) and Gabrielle Mueller and James Skidmore, eds. Cinema and Social Change in Germany and Austria (Waterloo, ON: Wilfried Laurier, 2012) in Seminar 50.4 (November 2014): 511-515. Michael Renov. The Subject of Documentary (Minneapolis: University of Minnesota, 2004) in Quarterly Review of Film & Video 25.3 (2008): 251-256. Jacqueline Levitin, Judith Plessis, Valerie Raoul, eds. Women Filmmakers Refocusing (NY: Routledge, 2003) in Jump Cut 49 (Spring 2007). Caryl Flinn. The New German Cinema: Music, History, and the Matter of Style (Berkeley: University of California Press, 2004) in Journal of Film Music 1.4 (Winter 2006). Linda Schulte-Sasse. Entertaining the Third Reich: Illusions of Wholeness in Nazi Cinema (Durham, NC: Duke University Press, 1996) in Film Quarterly 54.1 (Fall 2000): 44-46. Eric Rentschler. The Use and Abuse of Cinema: German Legacies from the Weimar Era to the Present. (New York: Columbia University Press, 2015) in Seminar: A Journal of Germanic Studies 55.1 (2019): 81-82. Sara Lennox, ed. Remapping Black Germany: New Perspectives on Afro-German History, Politics, and Culture (Amherst: University of Massachusetts Press, 2016) in The Germanic Review 93.4 (2018). Marion Kraft, ed. Kinder der Befreiung: Transatlantische Erfahrungen und Perspektiven Schwarzer Deutscher der Nachkriegsgeneration (Berlin: Unrast, 2015) in Seminar: A Journal of Germanic Studies53.1 (2017): 93-92. Marco Abel, The Countercinema of the Berlin School(Rochester,NY: Camden, 2012) in Seminar: A Journal of Germanic Studies 52.3 (2016): 346-348. 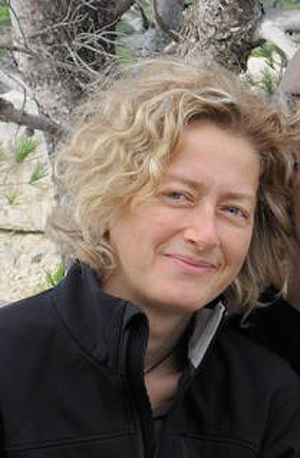 Monika Albrecht. “Europa ist nicht die Welt.” Postkolonialismus in Literatur und Geschichte der westdeutschen Nachkriegszeit (Bielefeld: Aisthesis Verlag, 2008) in Gegenwartsliteratur 13 (2014): 347. Eli Goldblatt, Coming Home: A Literacy Autobiography (Carbondale, IL: Southern Illinois University, 2012) in International Journal of Communication 8 (2014): 2-10. Tina Campt. Image Matters: Archive, Photography, and the African Diaspora in Europe. (Durham, NC: Duke University Press, 2012) in Journal of Family History 38.3 (July 2013): 365-66. Christine Haase. When Heimat Meets Hollywood: German Filmmakers and America, 1985-2005 (Rochester, NY: Camden House, 2007) in German Studies Review 33.3 (October 2010): 706-7. Heide Fehrenbach. Race after Hitler: Black Occupation Children in Postwar Germany and America (Princeton, NJ: Princeton University Press, 2005) German Studies Review 31.1 (February 2008): 178-79. Nora Alter & Lutz Köpnick, eds. Sound Matters: Essays on the Acoustics of Modern German Culture (New York: Berghahn Books, 2004) in German Studies Review 30.1 (February 2007): 235. Ian Balfour & Atom Egoyan, eds. Subtitles: On the Foreignness of Film. (Boston: MIT Press, 2004) in Journal of Popular Film & Television 34.2 (June 2006): 95-96. Tim Bergfelder, Erica Carter, and Deniz Göktürk, eds., The German Cinema Book (London: BFI, 2002) in Film-Philosophy, 8.7 (February 2004) www.film-philosophy.com. Susan Linville, Feminism, Film, Fascism: Women's Auto/Biographical Film in Postwar Germany (Austin: University of Texas Press, 1998) in Women in German Newsletter 90 (Spring 2003): 16-18. Thomas Elsaesser, Ed. The BFI Companion of German Cinema (NY: BFI, 1999) in German Studies Review: 384-85.